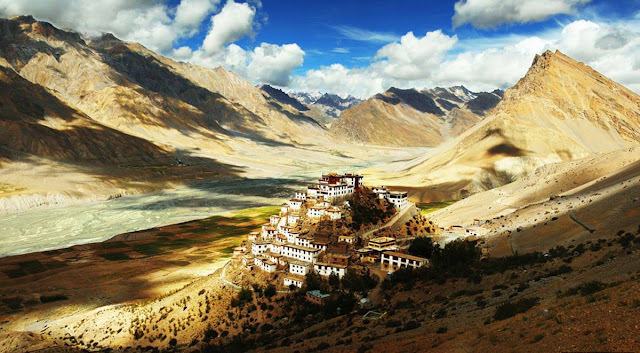 The district of Lahaul-Spiti in Himachal Pradesh consists of the two formerly separate districts of Lahaul and Spiti. The two valleys are quite different in character. Spiti is more barren and difficult to cross. Kunzum Pass (4551 metres) is the entrance pass to Spiti from Lahaul. 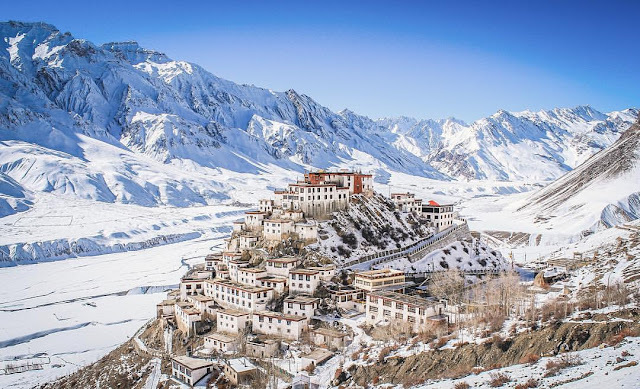 The Spiti Valley is a desert mountain valley located high in the Himalaya mountains in the north-eastern part of the Indian state of Himachal Pradesh. The name "Spiti" means "The Middle Land", i.e. the land between Tibet and India.It possesses a distinctive Buddhist culture similar to that found in the nearby Tibet Autonomous Region and the Ladakh region in J&K, India.